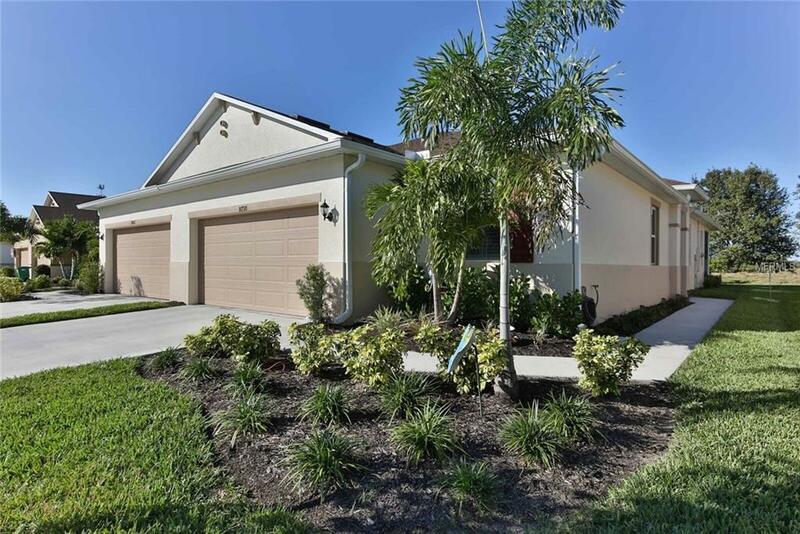 FANTASTIC 2018 2BD+DEN/2BA/2CG VILLA IN THE BEAUTIFUL GATED COMMUNITY OF TUSCANY ISLES IN PUNTA GORDA! This gorgeous 1523sf villa has a wonderful great room floor plan and is absolutely loaded with thousands of dollars of options and extras! 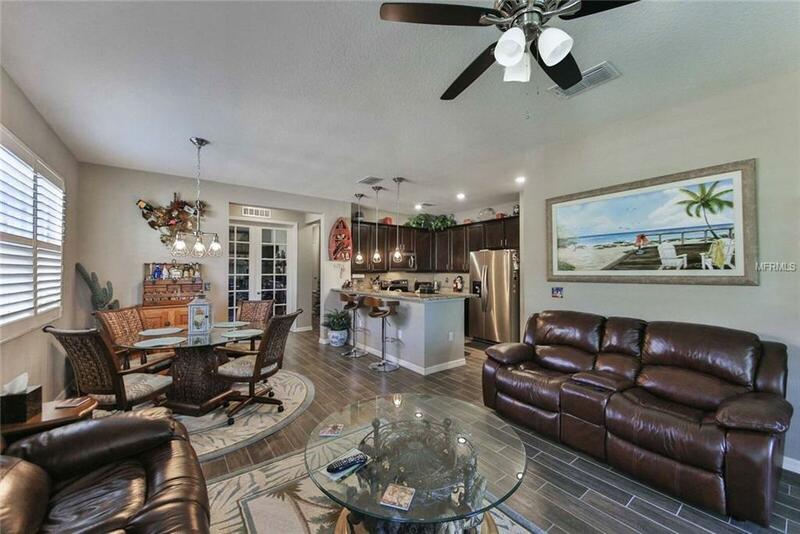 Youll love the rich, plank wood-look ceramic tile flooring that flows through all main living and wet areas, granite countertops in kitchen and both baths, beautiful plantation shutters on every window of this gorgeous home, 42 solid wood kitchen cabinets, SS appliances, 8ft entry and interior doors, screened lanai, 14x14 brick paver patio area adjacent to the lanai, and ultra high-end light fixtures and ceiling fans throughout. Highly desirable end unit design with numerous side windows creates an abundance of natural light. All colors and materials are in warm, earth tones. Highly desirable flood zone X no flood insurance required! Low $547/year home insurance! 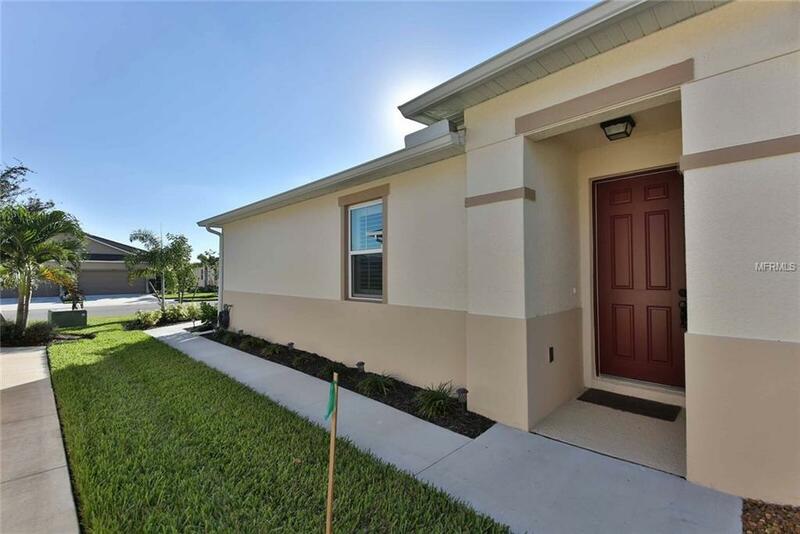 $241/month HOA fee includes all exterior maintenance, roof, paint, irrigation, recreation facilities, etc. No CDD! 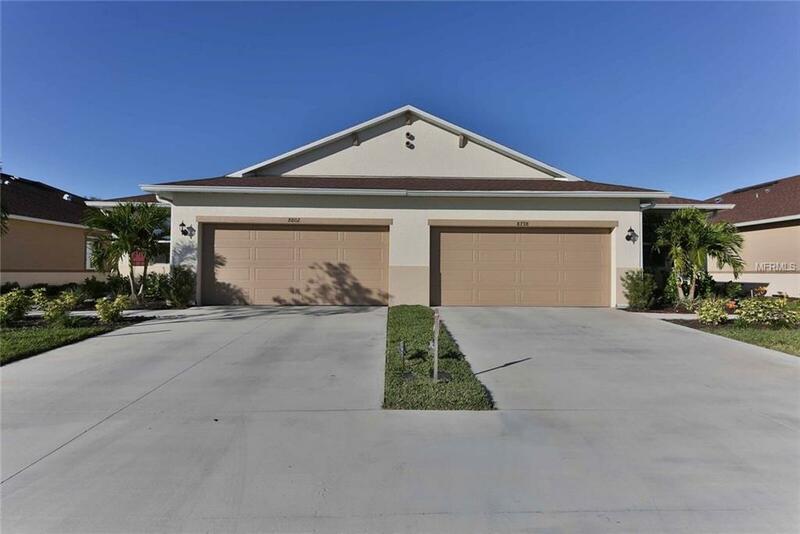 Tuscany Isles is a lovely, gated community just 3.8 miles from downtown Punta Gorda featuring a 42 acre spring-fed lake, clubhouse, pool, sidewalks, nature preserve with walkway, and super convenient location to I-75 and shopping! CALL TODAY FOR YOUR PERSONAL TOUR OF THIS OUTSTANDING VILLA! Additional Lease Restrictions No Lease Shall Be Shorter Than 12 Consecutive Months And No More Than 1 Lease Shall Be Permitted in Any 12 Month Period. Pet Restrictions No Exotic Pets. Pets Must Be On Leash. Owners Must Clean Up After Their Pets. © 2019 Citrus County Association of Realtors. All rights reserved. Based on information from the Contra Costa Association of REALTORS® MLS as of 2019-04-19T11:54:47.27. All data, including all measurements and calculations of area, is obtained from various sources and has not been, and will not be, verified by broker or MLS. All information should be independently reviewed and verified for accuracy. Properties may or may not be listed by the office/agent presenting the information. IDX information is provided exclusively for consumers' personal, non-commercial use and may not be used for any purpose other than to identify prospective properties consumers may be interested in purchasing. © 2019 Hernando County Association of Realtors. All rights reserved. IDX information is provided exclusively for consumers' personal, non-commercial use and may not be used for any purpose other than to identify prospective properties consumers may be interested in purchasing. Information is deemed reliable but is not guaranteed accurate by the MLS or Team 54 of Re/Max Champions. Data last updated: 2019-04-19T11:24:05.567.